In a recent Hangouts chat with backers, Coolest Cooler CEO Ryan Grepper says his company needs another $15 million to fulfill all orders. Grepper also says Coolest has shipped over 20,000 coolers to backers, with 36,000 (or so) of the original 62,642 backers still waiting for fulfillment. A “down payment” has been made on each of those 36,000 coolers, which is where things get tricky. Coolest has not submitted a full accounting of its cash or burn rate to backers, so it’s not known how many orders the company could fulfill without additional funding. It is also lumping all existing orders into one big pool; either everyone gets a cooler, or nobody does. Production of Coolest Coolers has completely stopped, says Grepper, and the company has no plans to have its facilities make more units until it has more money. Once production starts, he says they can produce upwards of 1,300 units per day, six days per week — or about 7,800 units weekly. Grepper notes the low-end yield on production is 400 units per day, and it takes up to four weeks to get to that 1,300 mark. Back to that $15 million funding goal, though. Grepper tells backers Coolest LLC has received a lot of interest from outside parties wishing to invest, but says backers have also expressed interest in funding Coolest further. To that, he is opening up equity funding on Circle Up. Telling backers he sees it as the “fair” alternative to institutional backing — because Coolest is a crowdfunded company — Grepper is positioning Circle Up as an alternative and an additional path to that $15 million. After sitting through the Hangouts chat, it’s clear to me the path for Grepper is to turn Coolest LLC into a business, not get backers coolers as quickly as possible. This ‘Coolest Cooler’ concept seems to have morphed from a Kickstarter project into a burgeoning company for him. That path starts at the $15 million funding mark, and it sure feels as though he’s holding outstanding orders for ransom to get there. Coolest has even obfuscated basic information. A simple tool meant to let backers know the status of their order is both confusing and often not informative; there are 78 different ‘batches’ of coolers that filter through eight different zones for shipment, but backers complain the information provided isn’t linear (early batch numbers don’t have shipping priority, for instance). Grepper also dances around Coolest’s place on Amazon. He admits he did a poor job of communicating Amazon’s involvement with Coolest, and claims the company is not providing Amazon with stock; what they’re selling is stock they have on-hand, not Coolest selling via Amazon. 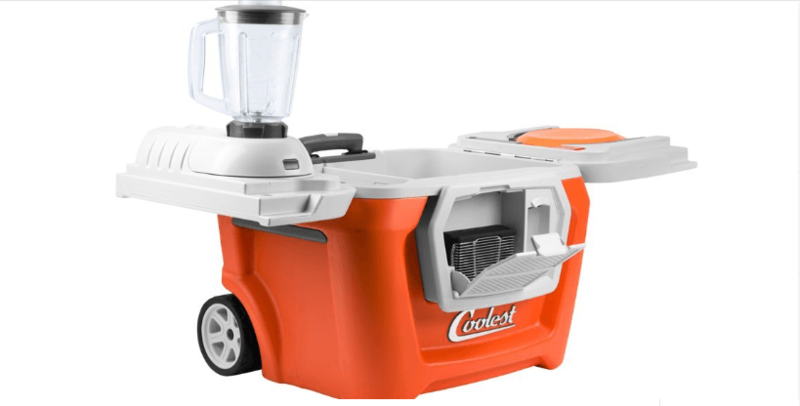 In an attempt to appease backers over the Amazon dustup, Coolest has stopped selling coolers on its own website (which is not the problem backers have). It seems as though there are disparate interests at this juncture. Grepper seems focussed on turning Coolest LLC into a viable company of his own, while backers of the Kickstarter project just want the cooler they paid for. Sadly, there’s no right or wrong, here; Kickstarter doesn’t involve itself with campaigns, and the FTC doesn’t regularly regulate crowdfunding. Both allow campaigns to operate in a grey area of ‘doing the right thing,’ which has many backers and Coolest LLC at odds. At the time we publish this article, Coolest LLC doesn’t know when it will start production, and hasn’t announced any additional funding partners.